Do you find yourself having visibility issues with your rear view mirror? 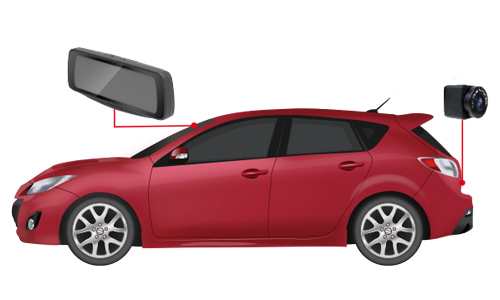 Is your rear windshield too small or too dark to look out of? The all-new RAY from Papago is sure to help remedy all of those problems! 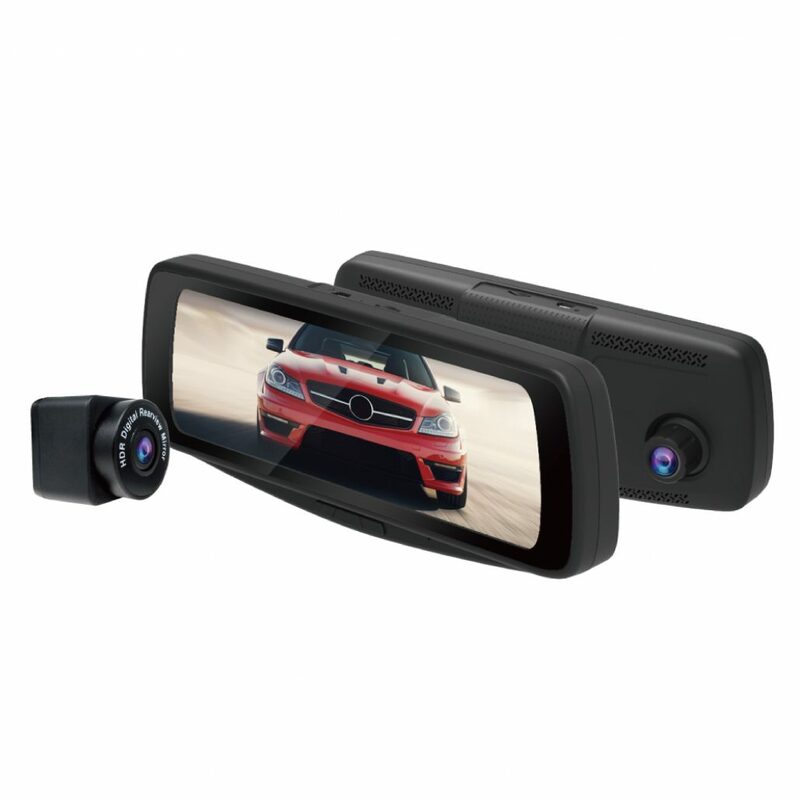 Papago RAY is a direct replacement for your traditional rear view mirror and solves most its issues such as glare, narrow field of view, and low visibility. 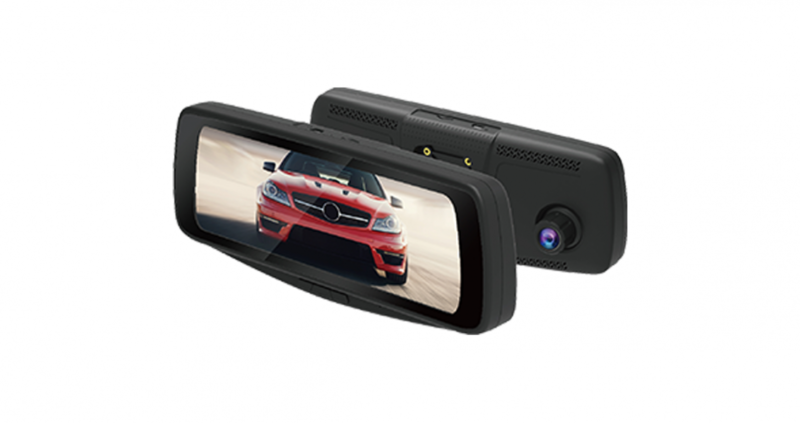 It pairs a powerful rear camera along with a big 7.8 inch screen to provide you with a real-time feed of what’s behind you. Any visual obstructions such as dark tinted windows or a rear seat full of people are no longer a problem. 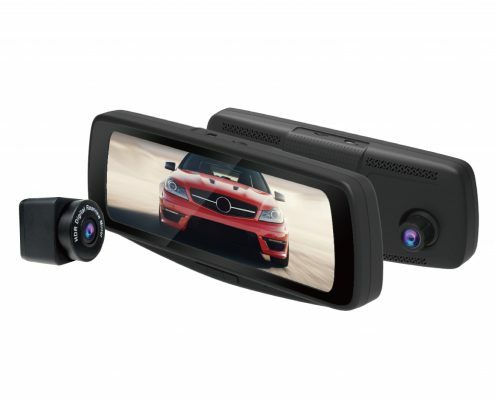 Not only is RAY a powerful rear camera, it also features a dash camera on the mirror itself allowing you to record both front and rear cameras at the same time onto the included microSD card. 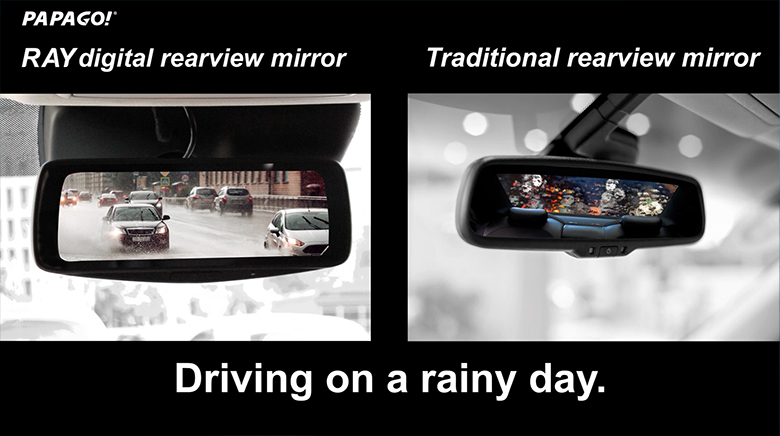 RAY is the future of rear view mirrors and is sure to help you and your loved ones stay safe on the road. 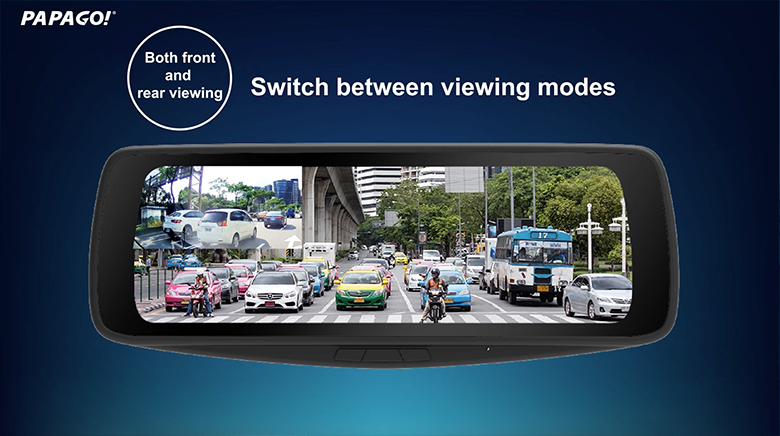 RAY offers a field of view much wider than that of a traditional rearview mirror making blind spots a thing of the past. 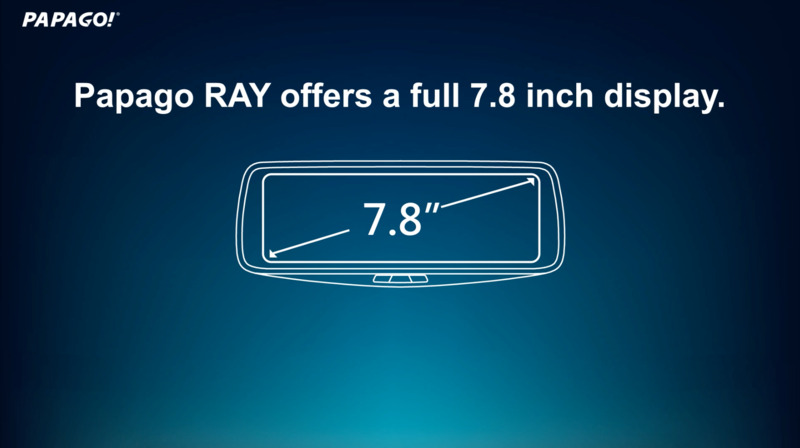 RAY’s rear camera feed is projected onto its 7.8 inch screen making the image easy to see. 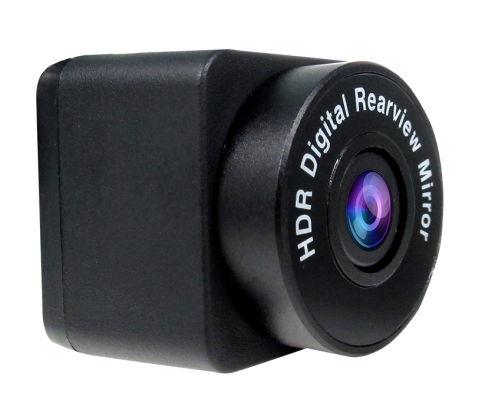 RAY’s rear camera projects its image in real time ensuring an accurate view of your surroundings. 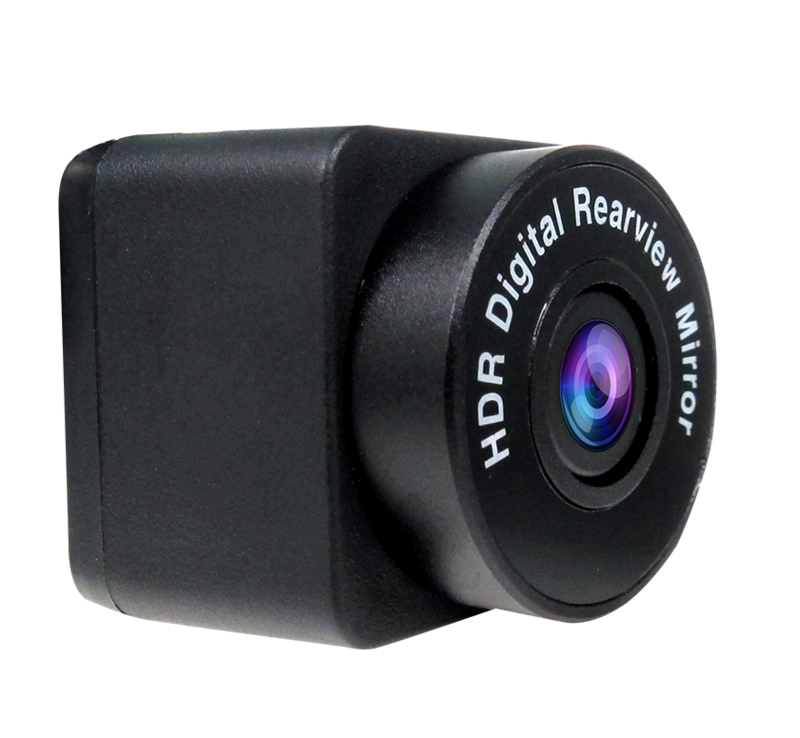 RAY’s rear camera is rain and fog resistant allowing it to be installed on the outside of the vehicle without worrying about it malfunctioning or having visibility issues. 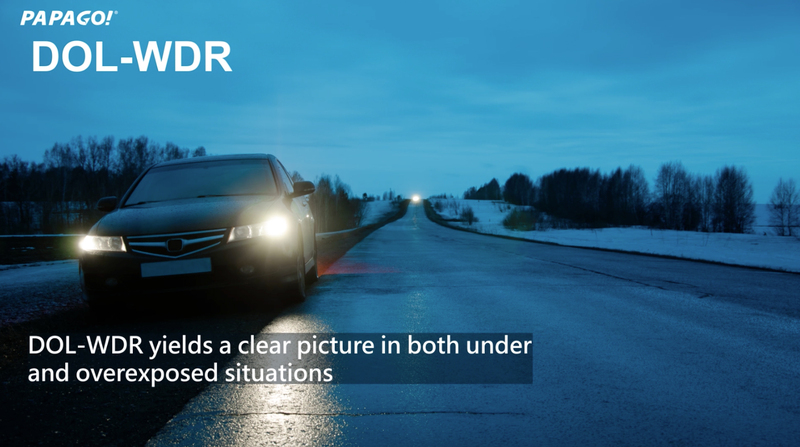 Ray is able to display a clear image while driving in the rain thanks to its rain-resistant rear camera. Heavy rain on the rear windshield is no longer an issue since the rear camera is mounted on the outside of the vehicle. DOL WDR stands for digital overlap wide dynamic range which renders a clear image in both underexposed and overexposed situations. 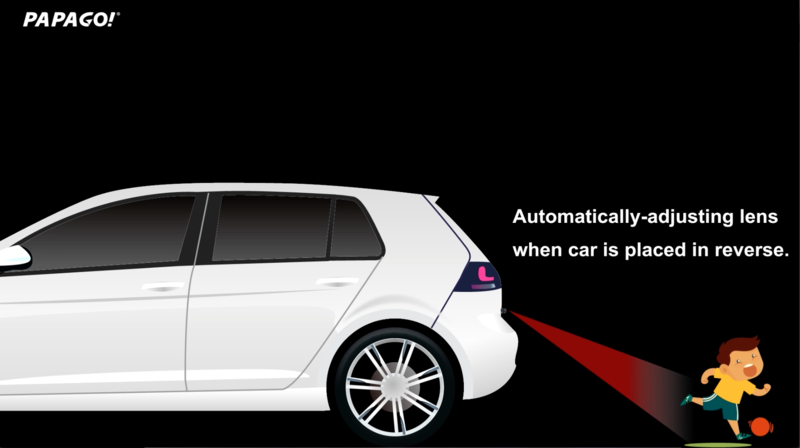 When the vehicle is placed in reverse, RAY will automatically adjust its image to show directly behind you to help avoid collisions. Lens F2.0 Super wide-angle lens. 6 glass lens with IR filter. 5. 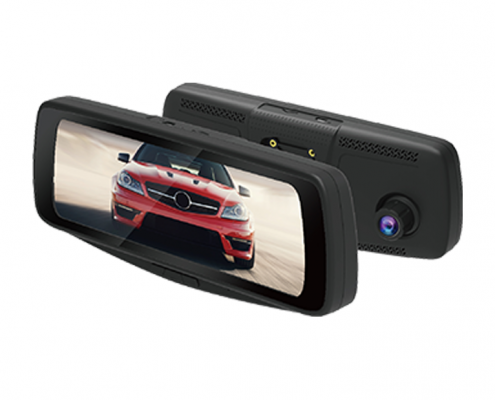 Insert the MicroSD card into the dashcam and power it on. 6. After reboot, the dashcam will start recording. Press OK button to stop recording and then press MENU to enter setting. Setting ->version -> Version: V115_20170925. If it shows the correct version, then it means you have updated the firmware successfully.